Alexis Cruz is an American actor, known for his performances as Rafael in Touched by an Angel and as Skaara in Stargate and Stargate SG-1. Cruz was born in The Bronx, New York of Puerto Rican descent. His mother, Julia, was a songwriter. He currently resides in Los Angeles. 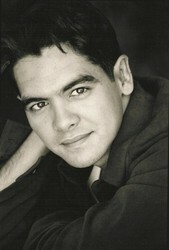 He went to Boston University majoring in Independent Technical Theatre. Cruz appeared as assistant D.A. Martin Allende in the legal drama Shark, with co-stars James Woods and Jeri Ryan. Along with Erick Avari, he is one of only two actors to appear in both the original Stargate movie and the spin-off series Stargate SG-1.